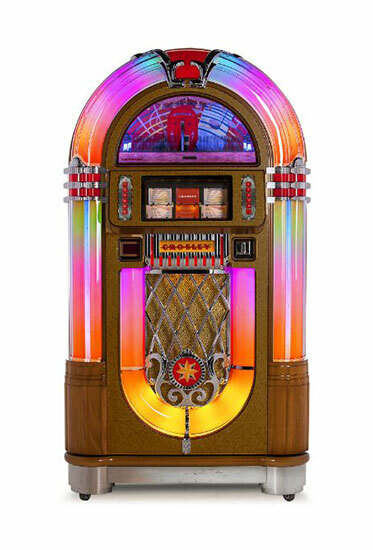 The Crosley Slimline boasts all the power of a full-bodied jukebox - minus the massive cabinet. Sculpted with authentic styling, modern features and hand-crafted cabinetry, this music box is ready to rock whenever you are. With a style that is reminiscent of the classics, combined with the performance of the future, the Slimline is everything you've wanted in a jukebox - only slimmer.